^ Coaches you how to write, design and send a marketing message directly to a prospect and a customer! 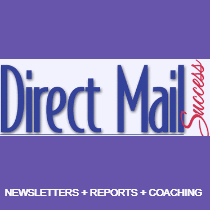 ^ The proficiencies​ of the Direct Mail Success content, and the writing skill set, as an industry leader, led to the delivery of over 5 million Direct Mail Success and On Target newsletters. 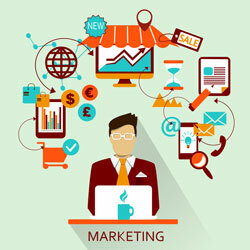 ^ The strategy of direct marketing, as coined by Lester Wunderman in the 1950’s, “is advertising directly to the consumer.” An advertising message, sent to a consumer, provided a direct path to the person’s mailbox, without the noise of other advertisers. 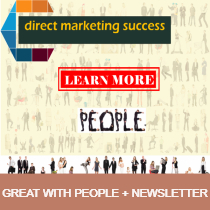 ​^ In the early 1990’s, as more companies used direct mail to reach their customers, the Direct Mail Success newsletter arrived. Direct Mail Success instructed and developed ideas for the lettershops and their customers to strive for a better response rate. 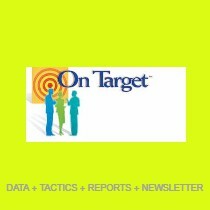 © 2007-2018 by the Marketing Communications Group, Inc. All rights reserved worldwide. No part of this publication may be stored in a retrieval system, transmitted, or reproduced in any way, including but not limited to digital copying and printing without the prior agreement and written permission of the publisher. Photographs are purchased from such companies as I-Stock, Windows Clip Art, HubSpot, PhotoPin, DepositPhotos, Solid Stock, Unsplash, Stencil or John Deuerling. 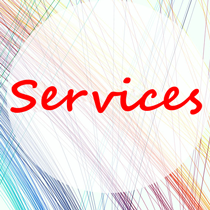 All original content on these pages is fingerprinted and certified by Digiprove.